This annual fundraising event, now in its sixth year, will include the songwriting contest, music by Terraplane Rhythm & Blues, a great silent auction (art, jewelry, vacations, etc. ), Kid’s Corner, 50/50 raffle, music jam session, grilled burgers and dogs, delectable desserts, beer and drinks. Proceeds go to educational and advocacy activities of Our Santa Fe River, all designed to protect the aquifer, springs and waters in this area. 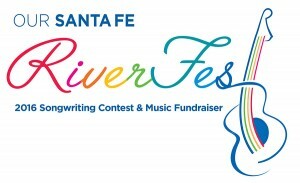 Songwriters application at http://oursantaferiver.org/wp/osfr-song-contest-entry-form/ – entry deadline March 1st, 2016. Kids Corner with fun activities. Silent Auction that includes original art pieces, vacation stays, services and much more. Grilled hot dogs, hamburgers, veggie food by Bambi, sodas, beer, and homemade desserts will be available for purchase. 6th annual song writing contest. Song writers will present their original compositions before the audience and a panel of judges for a $300 cash prize.